Hastings magistrates last week issued a stark warning about knife possession, sending one man to prison for four months for carrying a lock blade knife, writes Katy Weitz. Homeless Max Whiting, 37, was caught with the knife on his person in a public place on Battle Road in St Leonards on Christmas Day last year. A lock blade knife is one that folds out but also has a locking mechanism that keeps the blade in place. Mr Whiting’s lawyer argued in court that his client needed the knife with the 1.5 inch blade to cut up cardboard and open cans. But since Mr Whiting’s arrest last year, magistrates have been issued with stringent new sentencing guidelines which state that unless there is a very good reason, possession of such knives in public places constitute a serious offence, with sentencing starting at six months and a maximum prison time set at four years. Mr Corello added that they had to balance personal circumstances against the deterrent factor and for that reason they would be sentencing Mr Whiting to four months in prison, with time served taken into account. Outside court Mr Whiting’s defence lawyer Sean Cahill of Gurney Harden Solicitors said that four months was a harsh sentence, and the new guidelines failed to take into account that homeless people often need to use knives in their daily lives. 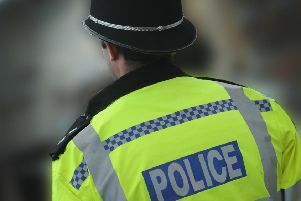 A Sussex police spokesman added: “Earlier in the year, we supported the national campaign Operation Sceptre, which aims to tackle knife-related crime and highlight the risks of carrying knives. “During the week-long campaign, a total of 294 knives were handed in across Sussex. Although we are below the national average for possession of an offensive weapon, we cannot become complacent.